Censorship Consequences for the Rest of the World? Three years after Skyfall, a new James Bond adventure is heading to cinemas. Spectre is highly anticipated. The franchise has the luxury that it comes with a built-in fanbase that is eager to see each new entry in masses. So getting the people in front of the cinemas in Britain doesn't seem to be a problem. But getting them inside of the cinemas would've been a bit trickier - at least when you're aiming at a massive box office generated by a big audience below the age of 15. The BBFC would have given the film such a rating in its uncensored form. That was too high for the producing studio Sony Pictures who asked the BBFC for advice on how to make adjustments in order to secure the 12A rating. This film was originally seen for advice in an unfinished version. The company was advised it was likely to be classified 15 but that their preferred 12A could be obtained by making reductions in a scene of violence and in another scene showing the aftermath of a violent act. When the film was submitted for formal classification, acceptable reductions had been made in both scenes and the film was classified 12A. Since these modifications were done before the film's post-production was completed some worries could stir up regarding the consequences for territories outside of the UK. Especially since the film is a British co-production that wouldn't be a totally rare occasion (think of Pompeij or The Inbetweeners Movie 2). On the other hand, the Bond franchise was handled differently in some cases, e.g. Casino Royale (which was individually censored in the UK, the US and Germany) or some of the Brosnan Bonds. We might have to wait until the home video releases come out in order to investigate the situation. 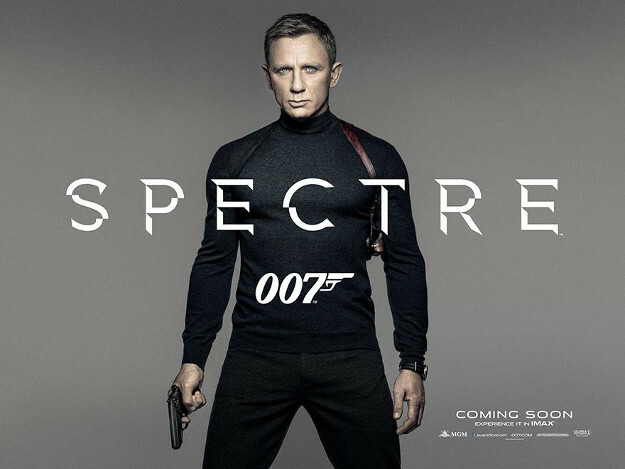 Spectre starts in UK cinemas on October 26th, 2015.